Production of pulses went up in response to the higher MSP, but mandi prices crashed. A glut in the market for pulses is a classic case of central planning gone wrong. The goal of achieving higher production by raising the Minimum Support Prices (MSP) for pulses did increase production and brought consumer prices down. But conversely, a predictable glut followed, farm income fell and fuelled rural distress. In 2015, the Narendra Modi government responded to high consumer price inflation to the order of nearly 30 to 40 per cent in urad, arhar and moong by announcing a number of measures. These included checking hoarding, importing pulses and increasing the MSP. When the government increased the Minimum Support Price (MSP) of pulses in 2015 and in 2016 with a big bonus of Rs 425, it was focused on encouraging higher domestic production. Production did go up in response to the higher MSP, but mandi prices crashed. To ensure higher prices for farmers, government started procuring pulses. In earlier years, the focus of food procurement was only on wheat and rice to ensure self-sufficiency, a policy relic from the 1960s. Now, the focus has been on pulses to ensure higher farm incomes. Record amounts of pulses were purchased by the central government last year. This year too, the government has already spent Rs 15,000 crore on procurement. Procurement by government resulted in large stocks of pulses. Government then tried selling off these pulses to the paramilitary forces, the Army and the open market. Unable to dispose of the large stocks, the government is now trying to give discounts to states to deal with the situation. Each kilogram of pulses can be obtained by the states at a discounted rate for schemes such as the mid-day meal or to sell to retail consumers. It is important to get rid of these stocks to clear warehouse space for the upcoming rabi crop. MSP as an instrument began to be used in the 1960s. The Agricultural Prices Commission was set up in 1965. In order to protect farmer incomes, it recommended that the government announce Minimum Support Prices. These prices protect the farmer’s income in case of a glut. If the government procures at the MSP, either private traders buy at a price above this price or farmers can sell to the government at this minimum price. Also read: If we can afford to recapitalise banks and a bullet train, why not MSP for farmers? A higher Minimum Support Price encourages the farmer to produce a particular crop as opposed to another whose price is not supported. A stable income, even if lower, is usually preferred. The problem arises if too many farmers get encouraged by the MSP and start producing a particular crop. There may be a glut and if the government does not have the organisation and the storage capacity to buy the additional crop, then prices could start falling. Schemes such as the Bhavantar Bhugtan allow the government to pay the farmer the difference in case private traders buy at a lower price. The MSP has to be constantly revised because MSP depends on the cost of production and that regularly changes. But all Minimum Support Prices do not increase by the same magnitude. One difficulty in setting the MSP is that the government can only guess how much additional crop would be produced when it raises the price. It doesn’t always get it right. In fact, it usually gets it wrong. In USSR and Eastern Europe, central planners had believed that all you had to do was to get the price signal right, and you could emulate the market. Their economies collapsed because they were producing things people did not want, and not producing those that they did want. The role of prices is to signal demand and supply, and without the prices that reflect demand producers were not able to get the right signals. Household consumption baskets change in response to changing incomes. For example, when people get richer, they buy less of wheat and rice and more of food items that make their meals tastier and more nutritious. In India, the demand for vegetables, meat, milk, fish and fruit has been rising with the rise in household incomes. In recent years, household consumption data shows that Indian households now consume higher protein products and fresh vegetables and fruit – although it is still among the lowest in the world. When the government tries to set the price for a number of goods, it is setting all these relative prices in the process. It needs to know the exact mix of dal and rice that households would like to buy. And this is not a one-time exercise. As a household’s income increases, it may prefer to eat more dal with the same amount of rice. And when it increases even further, it may move to eating less dal by eating vegetables or fish or poultry. Trying to get prices right at every point of time to match demand and supply is a nearly impossible task. Also read: Is TRS’ game-changing Rythu Bandhu answer to India’s farm woes or just a sop in disguise? As a consequence, while addressing the issue of farmer income, we could end up giving wrong price signals. A market economy, with millions of producers, may do better with the individual hand that equates demand with supply than a government that sets targets. 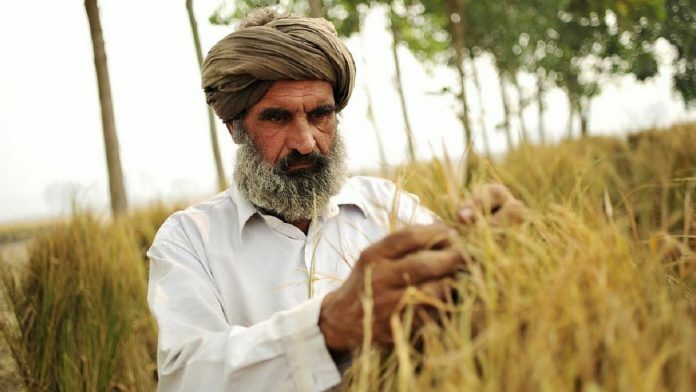 Income support to farmers is another way to prevent market distortions while supporting farmer incomes. The Rythu Bandhu in Telangana gives Rs 4,000 per acre to farmers for investment. Odisha chief minister Naveen Patnaik has just announced a new scheme ‘Kalia’ that gives financial assistance for five cropping seasons from 2018-19 to 2020-21 to small farmers and Rs 12,500 for goat rearing, mushroom cultivation or bee-keeping to one million landless agriculture households. It is time to explore alternatives to setting MSPs.